Have you seen Yes Man, the movie in which Jim Carrey challenges himself to say 'yes' to everything for an entire year and sees his professional and romantic life changed almost overnight? When I watched Yes Man in 2008, I wanted to do the same. I was curious if my life would change as well. Guess what? Miraculous things did happen. It took a few months to see results, but I can safely say that my stories The Strangers Outside and A Good Man would never have been turned into films if I hadn't said 'yes' to seemingly unimportant parties and dinners. I wouldn't have had important television appearances and I would probably still be the insecure woman I was five years ago. When my grandfather got cancer, I became a 'no'-woman again. Because I took care of my grandparents as much as I could, I was just too tired to do anything else. I've been contemplating saying 'yes' again for a while now, but my fatigue always served as the perfect excuse. When my sister told me she watched Yes Man and wanted to start saying 'yes' to everything as well, I saw it as a 'sign' to stop making excuses and seize opportunities once more. Have you tried the Yes Man-technique? What were your experiences? If not, I suggest you try saying 'yes' to everything for three months or so and see what happens. I can already guarantee you that your life and writing career will improve in ways you can not yet imagine. What do you think? Is it something you would like to try? This article was posted for the Insecure Writer's Support Group. 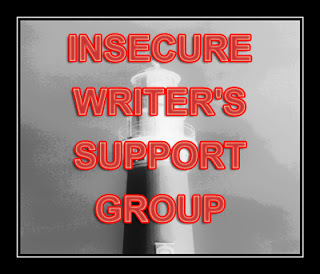 Similar articles about writing can be found at http://alexjcavanaugh.blogspot.be/p/the-insecure-writers-support-group.html. I've seen the movie Yes, Man, but I never really considered saying "yes" to things like Jim Carrey's character. That's neat it worked so well for you when you were doing it. I haven't seen it either, although we ended up with this little toy character from a Christmas white elephant gift exchange called the 'Yes man' and I'm now thinking it was from ths movie! We used it in the exchange for the next year. hee hee. I'm glad the yes method worked out for you to! This is absolutely beautiful. As one who went through all these feelings when I was in a serious car accident this past Memorial Day, I have chosen to see this as a blessing and a second chance at life. You do have the power to choose. I'd never heard of this movie before. I'm going to have to check it out. I think I'll give "saying yes" a chance too. Yes is a good thing and it will bring good things to your life, for sure. Hi. Thanks for posting for the IWSG! I agree, I think it was a sign for you to start saying yes again! I'm not sure I've seen this movie, but the fact that it's worked for you before is pretty amazing. I only worry that I say yes to too many things already and this attitude wouldn't work well for me. I think I need to say no more often. Just thinking about saying yes puts a smile on my face. I'd say it's time to start again. Let us know how it goes this time around. I've never heard of the movie, but I definitely want to try it out now. 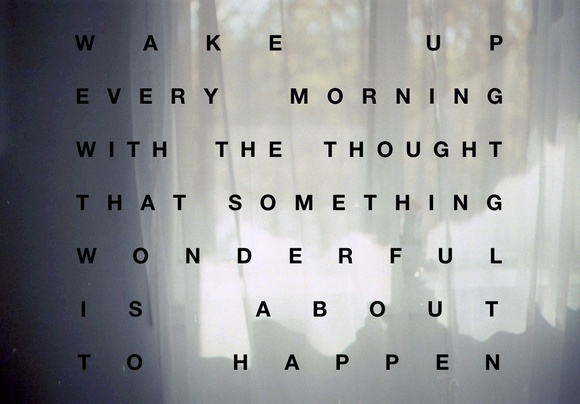 You've got me thinking about it, so maybe I'll try it through the day today! Yup I did :) Back in 2006 my friend read a book called, The Year of Yes. She told me about it and I applied it to my online dating, which had been a complete fail for two years. I kept meeting the same kind of guys because I was weeding out anyone different. So I decided to say yes to anyone who asked as long as they weren't married or dating someone. I would no longer weed out people with different religious, politcal views or anything else. I did that for three months. Toward the end of the three months, I met this guy who said he wasn't sure about kids (I don't want them), said he was religious (nope not for me), and that he was divorced (too much baggage). I wanted to say no, but I said yes. Then I discovered he marked those things out of ambivalence. He didn't want kids and really wasn't religious anymore. Yes he had baggage but so did I. In 2011, I married him. Saying yes is the best thing I've ever done. I love this so much! Thank you for sharing, I'm so excited to have found your blog!